You’ve spent endless hours perfecting your recipe, tasting it with friends, family and coworkers, found the perfect package design, and now it’s time to create your product label. 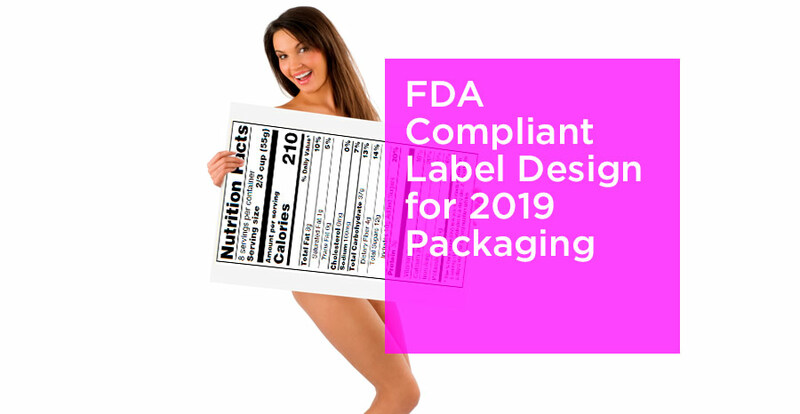 The product label design is a crucial step in grabbing the attention of your potential customer but it has to be done within FDA guidelines. There are an endless (or so it seems) amount of regulations for specific products and claims but they all share some of the same requirements. 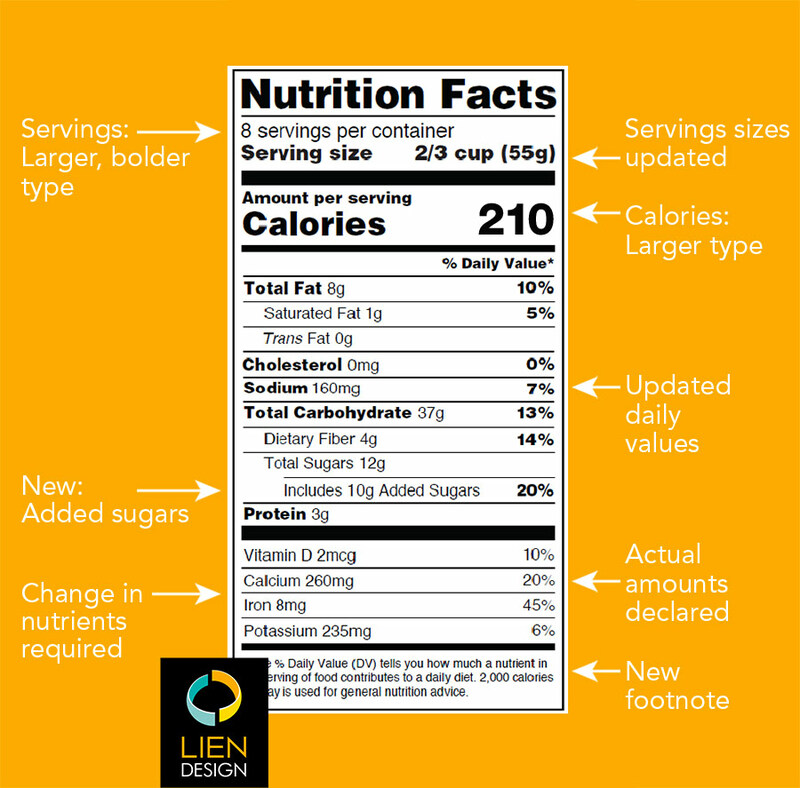 For starters, here are some fairly major changes that need to be made to the Nutrition Facts panel on all packaging design in 2019. One of the most obvious items that must be on your food label is the name of your product. Naming your product may not be as simple as it sounds. Your brand name can be on principle display panel but that does not identify the product. 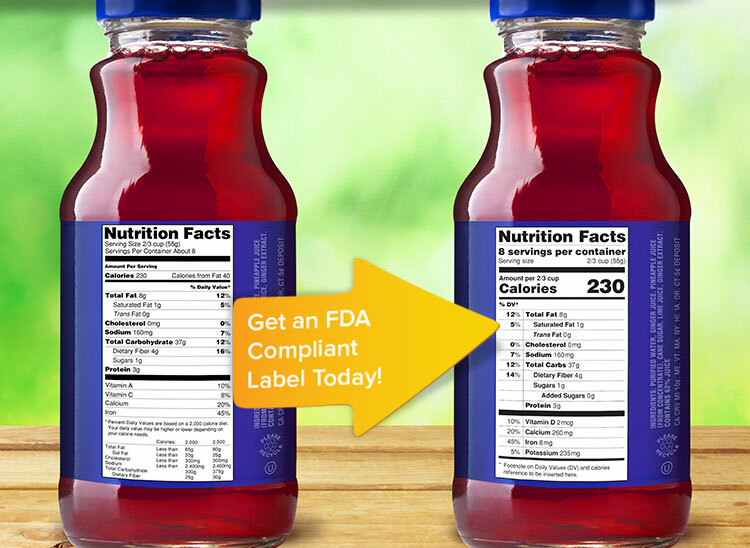 If your product has a defined standard of identity by the FDA or USDA then that name must be on the front of the label design. Items that have a defined standard of identity are ice cream, juices, yogurt, and many others. If your product does NOT have a standard of identity then you can establish a name that is appropriately descriptive and is not misleading. Name and address of the manufacturer, packer, or distributor. If the name listed is anything but the manufacturer it must be accompanied by a phrase similar to “manufactured for Company Name”. Along with the name you must list the street address if the company name is not listed and easily assessable. If the address is assessable you must list the city or town, state and zip code. Your ingredient statement is arguably your most important part of your label. There are many nuances and regulations within creating a compliant ingredient statement. Each raw material may have its own regulation on how it can be labelled. The most important aspects of your ingredient statement are listing your raw materials in descending order of predominance by weight and your allergen statement. Undeclared allergens are the number 1 reason for product recalls. Accurate allergen labeling is crucial part of your label as an inaccurate ingredient statement can cause harm or even death to a consumer. Click to get a FREE ESTIMATE today! A nutrition panel is required on almost all food products as it’s the only way the consumer can understand various nutritional attributes of the product. The nutritional facts label should be placed by the ingredient statement and the name and address. There are various types of nutritional panels that are allowed to be used depending on your label size. The nutrition panel has a recent update that will be required on all food products by either 2020 or 2021 depending on total sales of the manufacturer. If you need a nutritional panel for your product www.fadcalc.com can create one for you and do an FDA compliance review on your label. There is also other information that might be required on your label depending the product type and nutrition claims made. These happen on a case by case basis and must be evaluated for every unique product. This list is not all inclusive and your product may require additional information to be compliant. Disclaimer: The contents of this website are intended to convey general information only and not to provide legal advice or opinions. The contents of this website, and the posting and viewing of the information on this website, should not be construed as, and should not be relied upon for, legal advice in any particular circumstance or fact situation. The information presented on this website may not reflect the most current legal developments. No action should be taken in reliance on the information contained on this website and we disclaim all liability in respect to actions taken or not taken based on any or all of the contents of this site to the fullest extent permitted by law. An attorney should be contacted for advice on specific legal issues.